The company moves to fix an earlier distribution error. Back in February, Kanye West performed on Saturday Night Live to promote his new album, The Life Of Pablo. After the show, he made the record available for streaming on TIDAL and put it up for sale on his website. 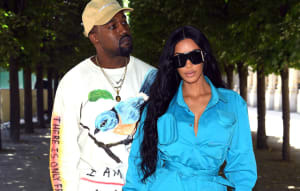 But he changed his mind shortly afterward, announcing, “I decided not to sell my album for another week.”4,000 people who reportedly paid for The Life Of Pablo did not receive the files. Those customers were refunded for their orders in February.